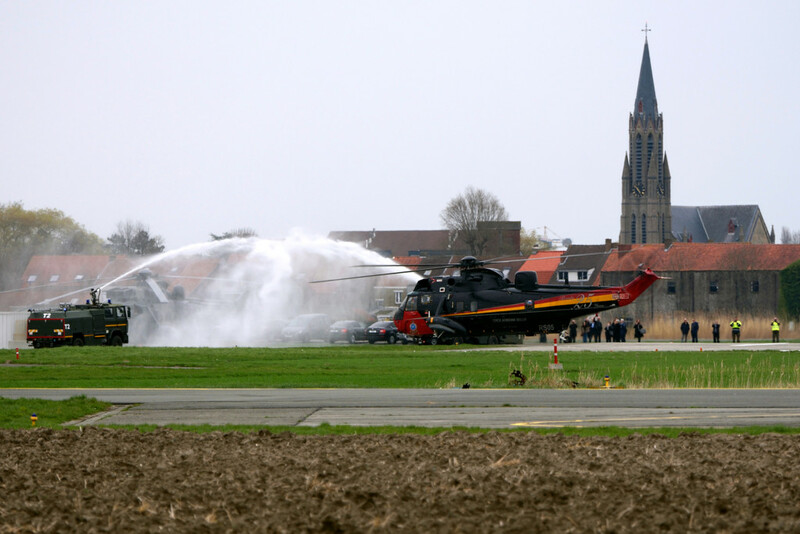 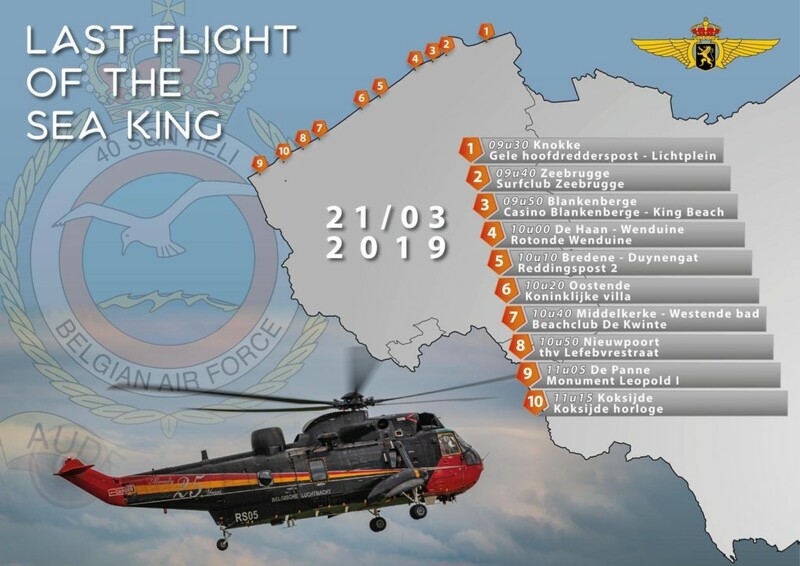 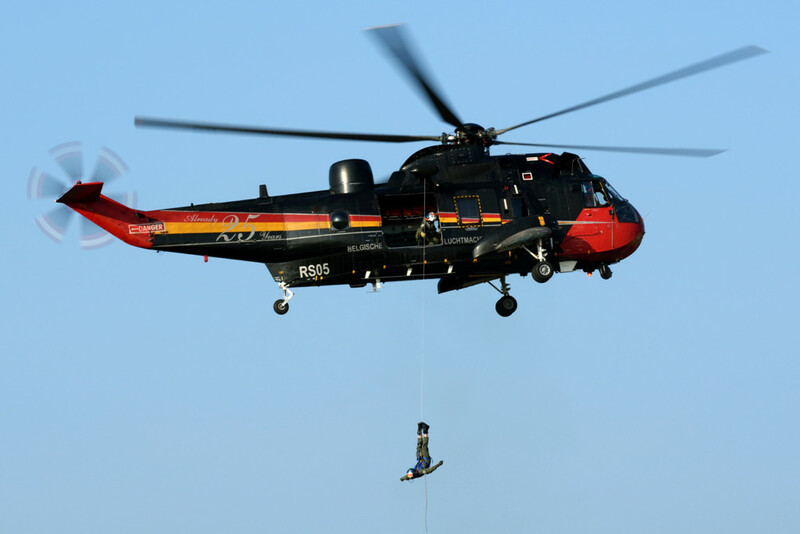 March 21, 2019 was a memorable day in the calendar for both 40 Squadron and the Belgian Air Component, as it marked the retirement of the Westland Sea King Mk 48 helicopters after 43 years of loyal service providing the Search and Rescue (SAR) capability to the people of Belgium. 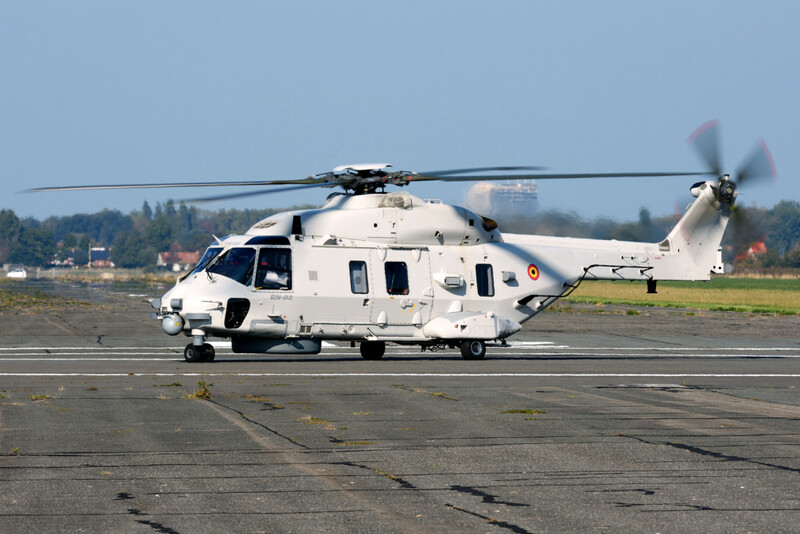 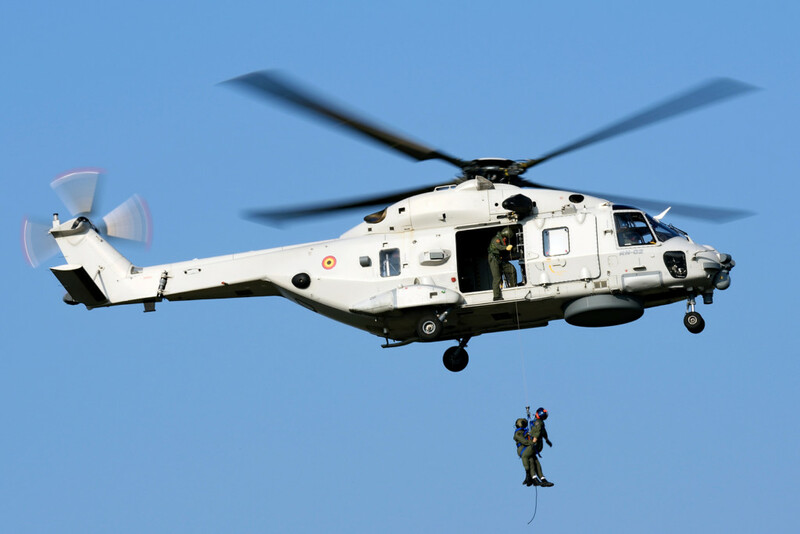 The baton has now formally been handed over to the NHIndustries NH90 NFH (NATO Frigate Helicopter) which first entered service with the Belgian Air Component on August 1, 2013. 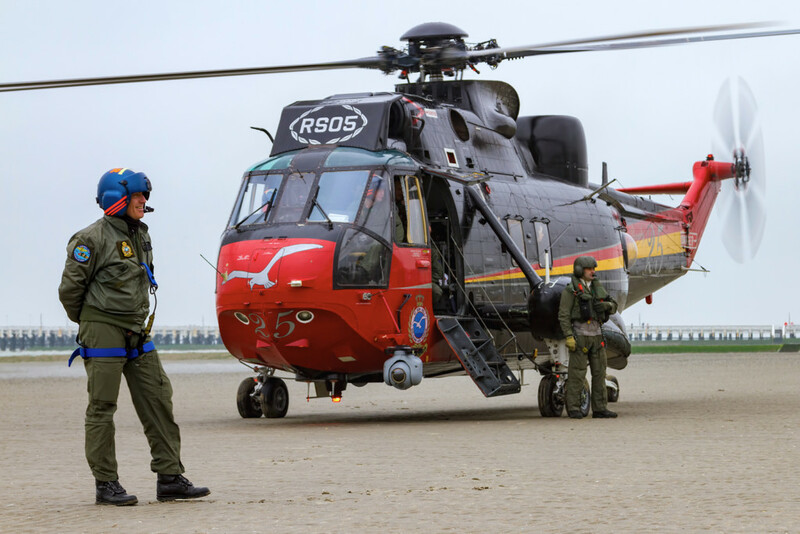 During the past six months, Mark Empson has visited Koksijde airbase; home to 40 Squadron on a number of occasions spending time with the squadron during the aircraft’s drawdown. 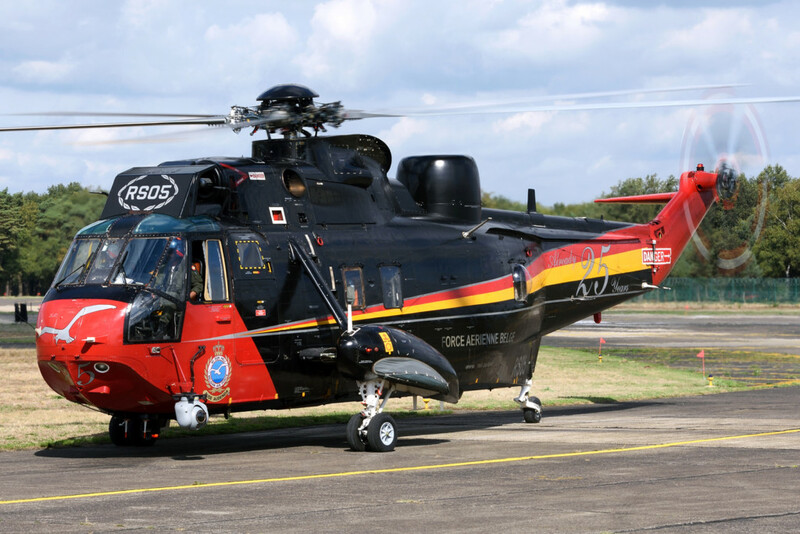 Belgium’s requirement for a new SAR helicopter to replace its ageing Sikorsky S-58 commenced back in 1974. 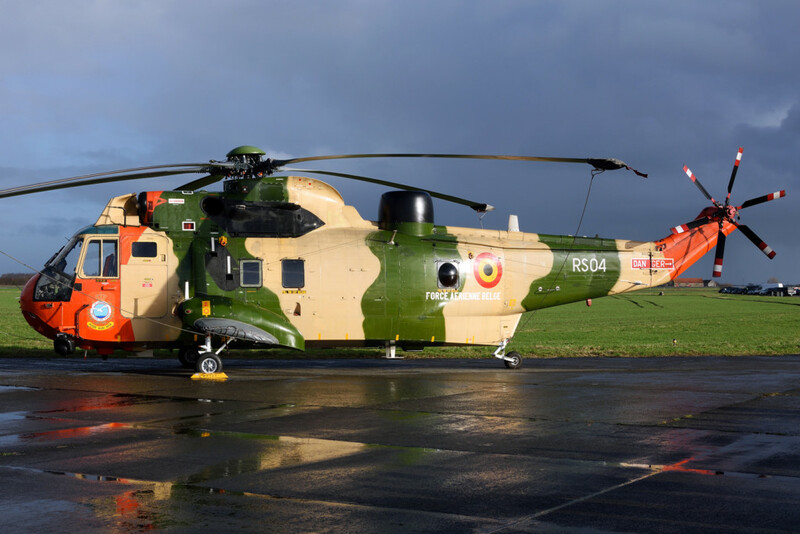 Belgium and 40 Squadron based at Koksijde took delivery of their first Westland Sea King Mk48 (RS-02) on May 20, 1976 with the fifth and final aircraft delivered in November 1976. 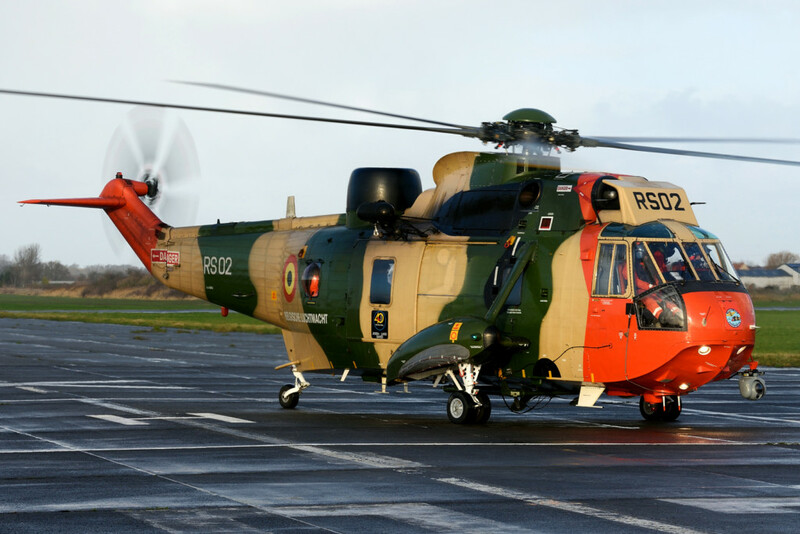 During the next eight years, the S-58 was slowly phased out leaving the Sea King Mk48 in the sole custody of the Belgian SAR capability. 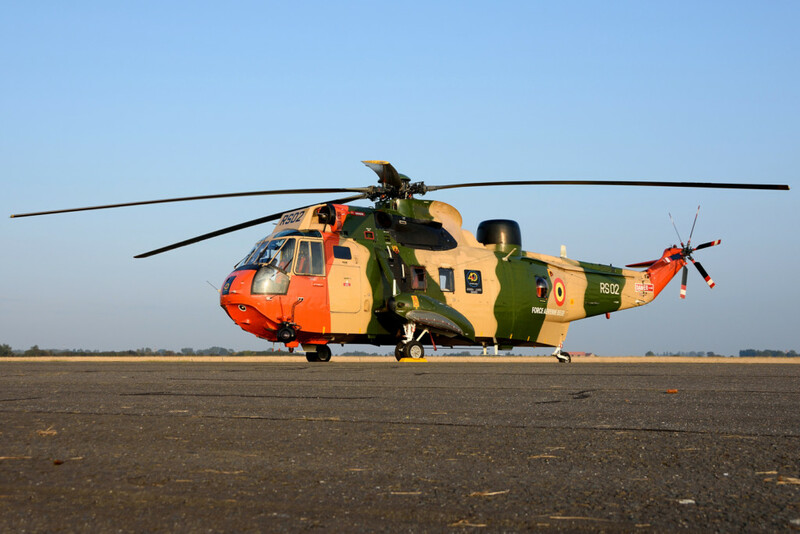 Throughout its service career, the distinctive sand camouflage scheme worn by the Sea King fleet has intrigued the aviation community. 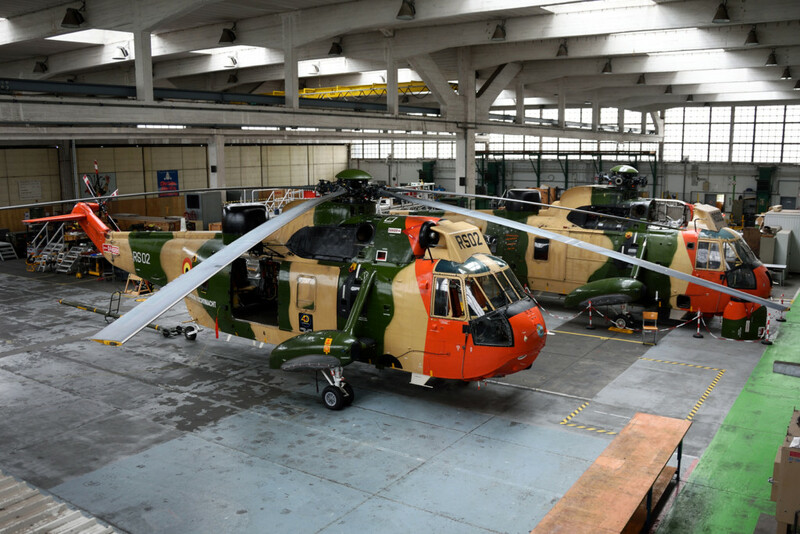 The reason for this is understood to be due to the airframes originally being destined for the Egyptian Air Force; an order that was later cancelled. 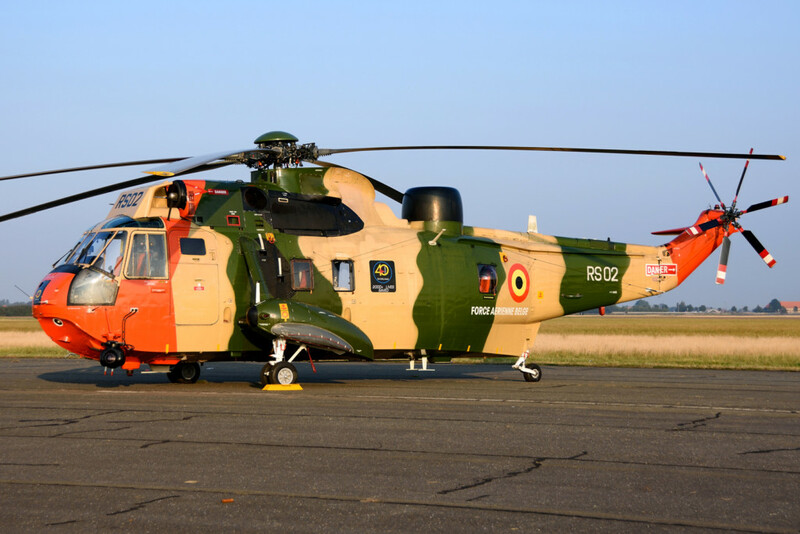 Belgium took the airframes making only minor amendments to the original paint scheme by adding the orange dayglow areas. 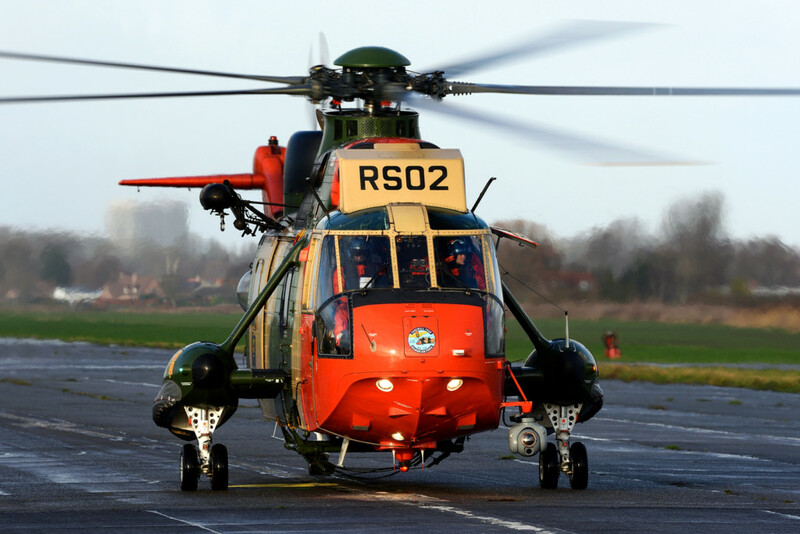 It is fair to say this scheme was certainly one of the more striking SAR colour schemes ever worn. 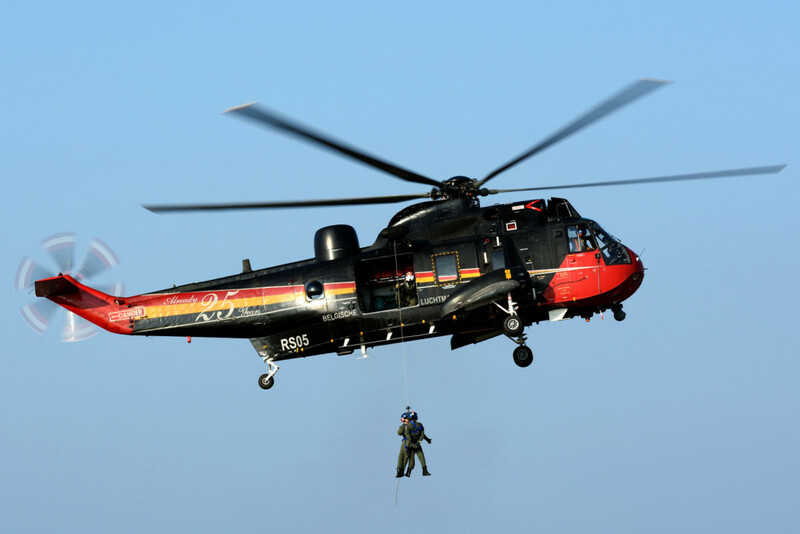 During its career, the Sea King Mk 48 had a number of upgrades with the first in 1987 involving the replacement of the composite rotor blades with metal blades. 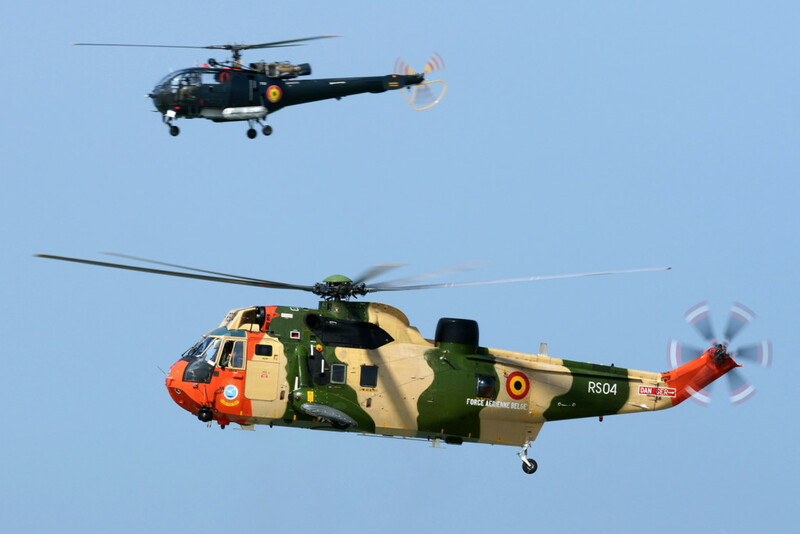 In 1994, Belgium’s Sea Kings received a major upgrade to their Avionics and Infra-Red systems. 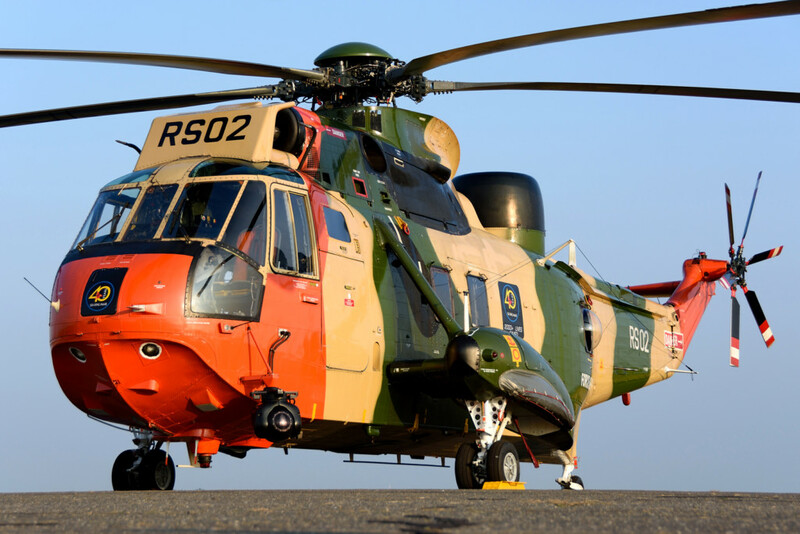 This modification saw the addition of the Foward Looking Infra-Red (FLIR) turret under the nose of the aircraft which greatly improved the operational capability. 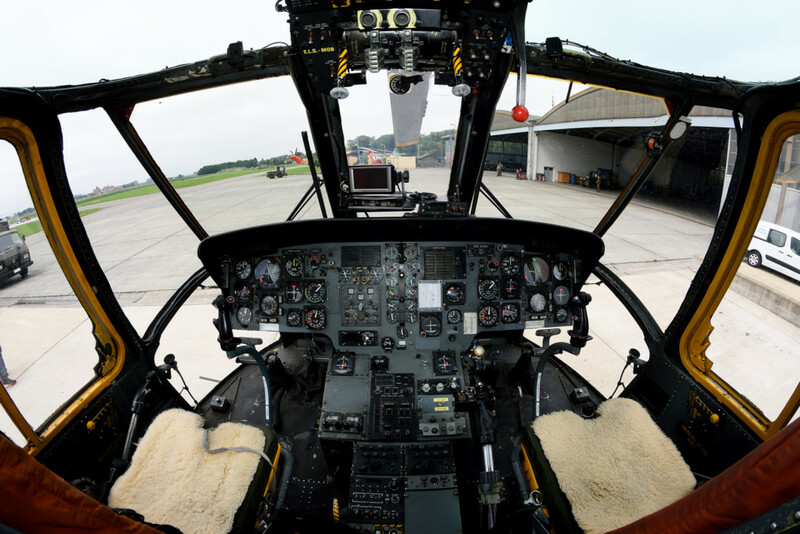 There were also a number of other smaller modifications carried out through its lifespan, although the aforementioned were the most significant. 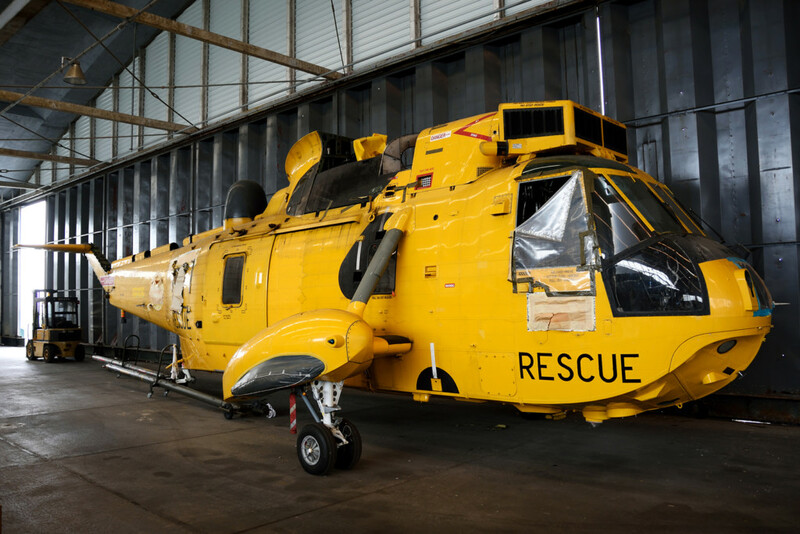 40 Squadron later acquired an ex RAF SAR Sea King HAS.6 (ZH542) in November 2015 which was used for spares. 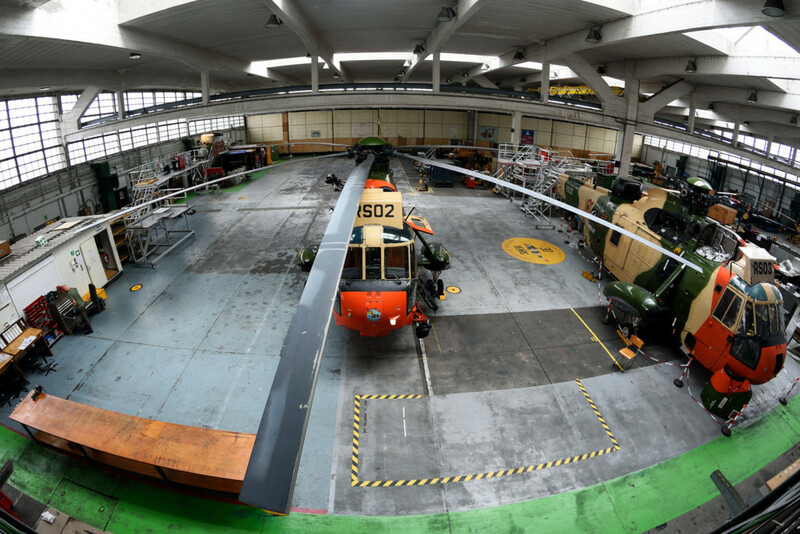 This airframe is still present at Koksjide as of March 2019. 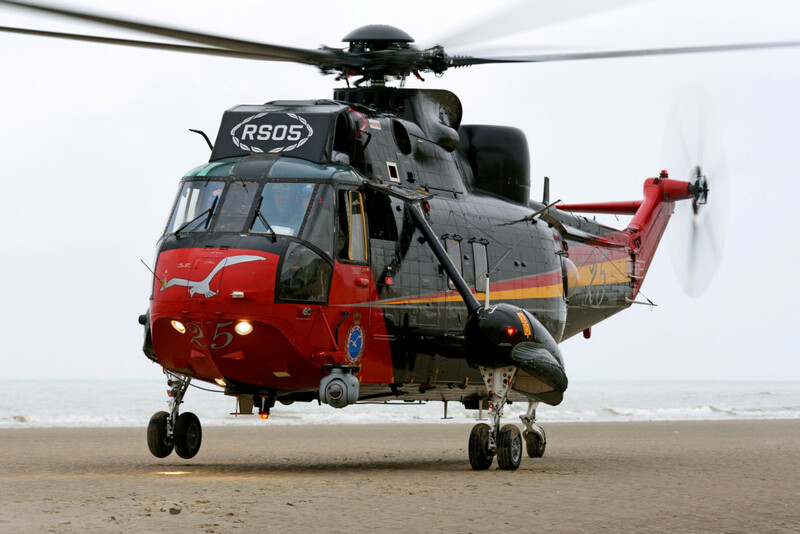 In 2001, RS-05 received a special commemorative 25 Year special paint scheme. 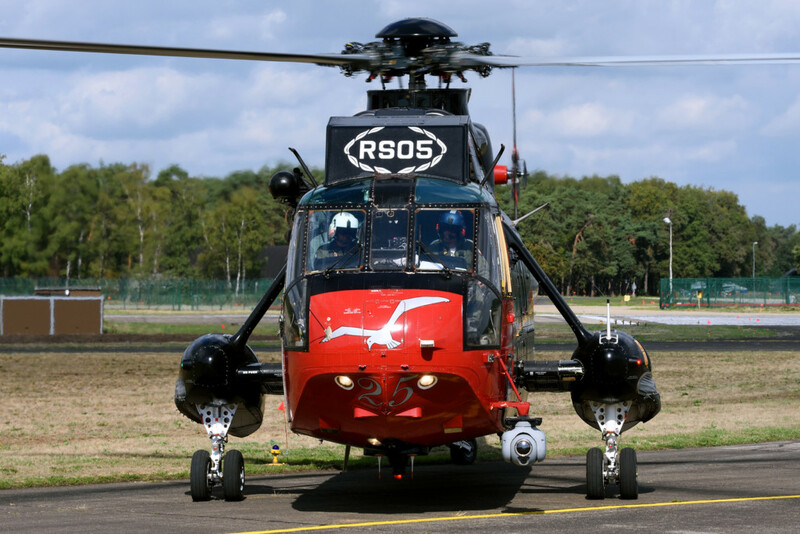 Ironically, RS-05 was never repainted in its original colours and continued to wear these distinctive anniversary markings for the remaining 18 years the airframe was in service. 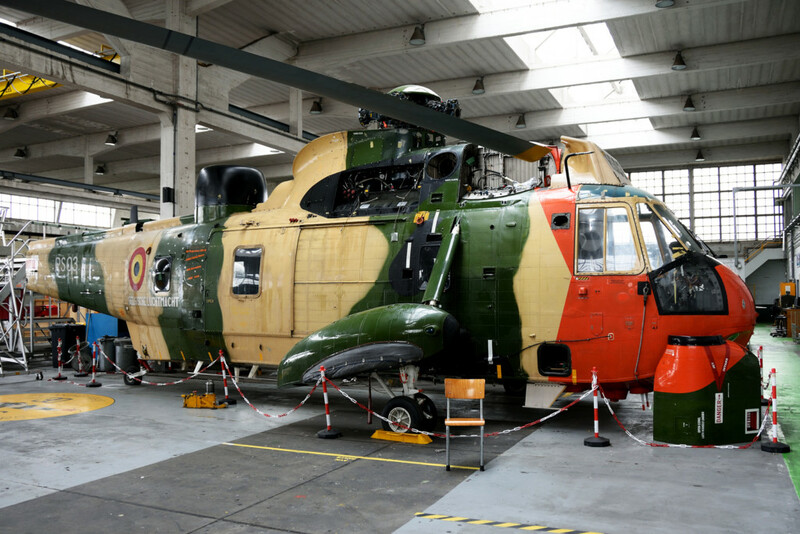 The first step in the drawdown of the Sea King began when RS-01 was retired in December 2008, with the airframe now on permanent display in the Brussels Air Museum. 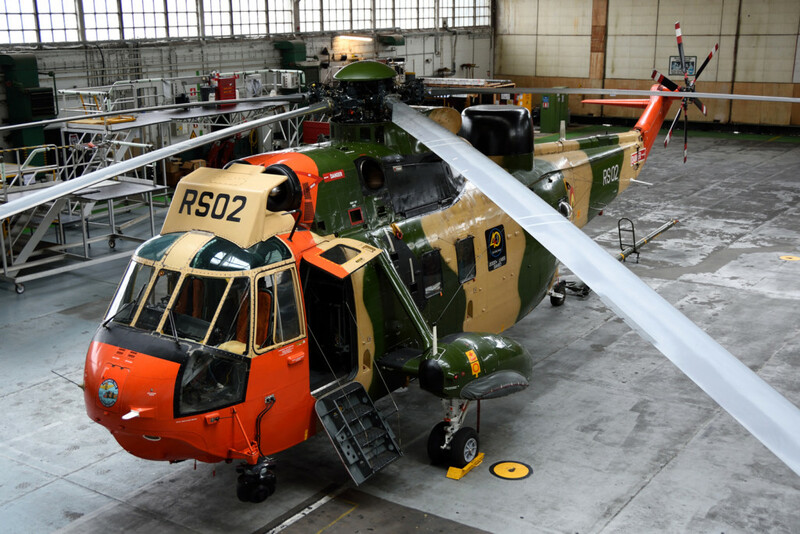 The next airframe to be withdrawn from service was RS-03 in August 2013, which resides at Koksjide. 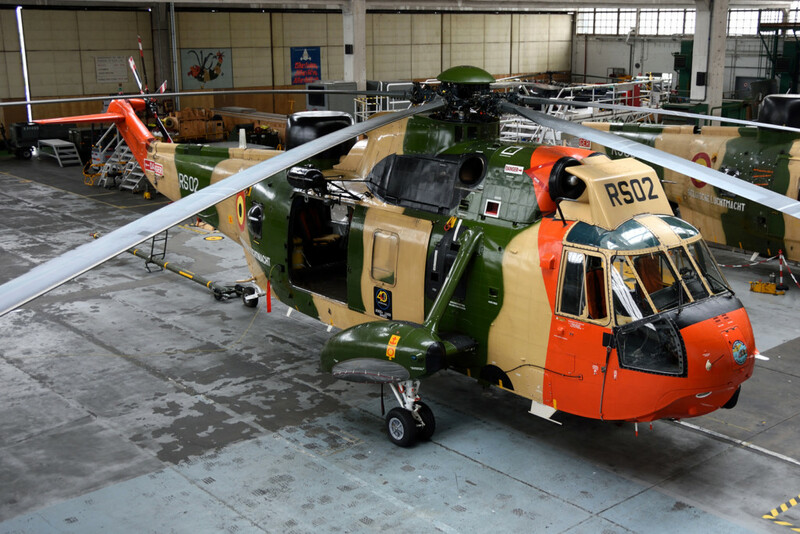 This airframe is currently destined to be placed on a roundabout in the local Koksjide area as a tribute to the Sea King’s long and distinguished service career. 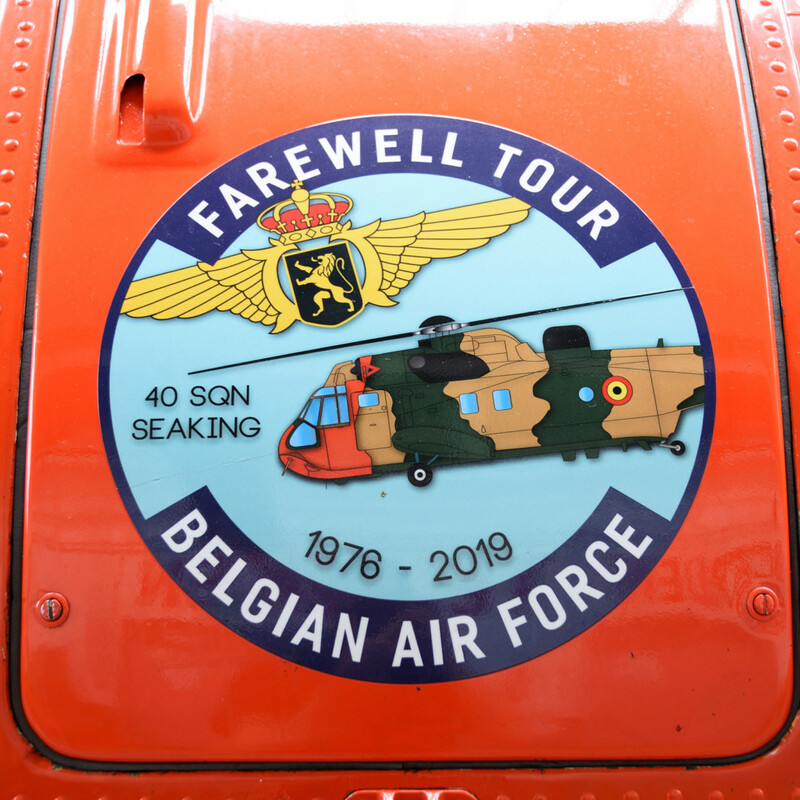 The next major milestone in both the Sea King and 40 Squadron’s history occurred on December 19, 2018 when the last three remaining Sea Kings completed a farewell tour of important locations in East and West Flanders. 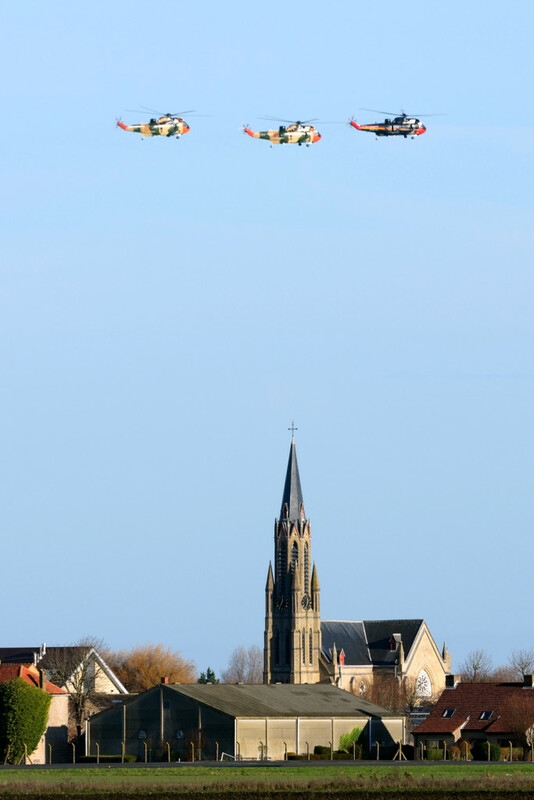 This is believed to be one of the few occasions all three aircraft flew in formation. 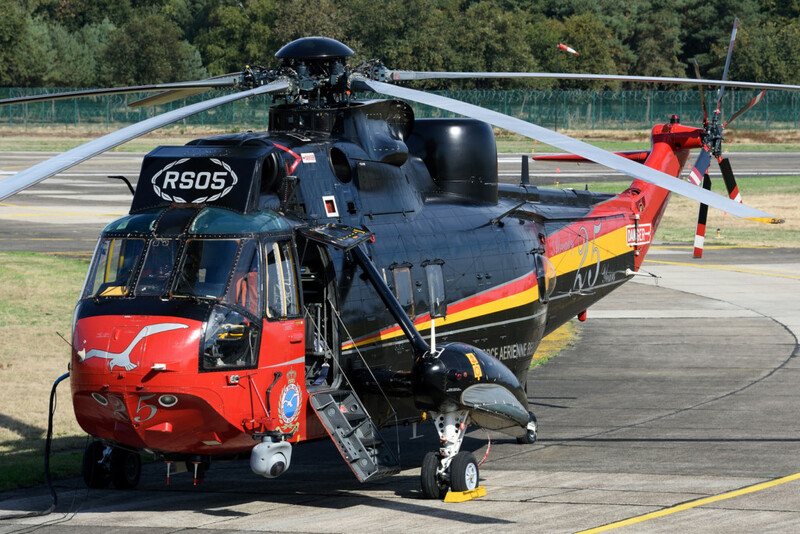 Following the withdrawal of RS-02 and RS-04 on January 13th and February 15th 2019 respectively, the final airframe RS-05 completed its penultimate flight on March 21, 2019. 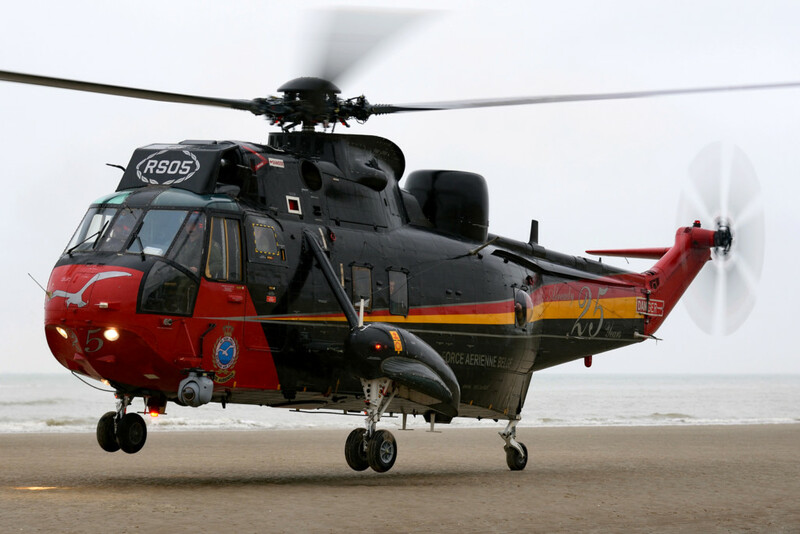 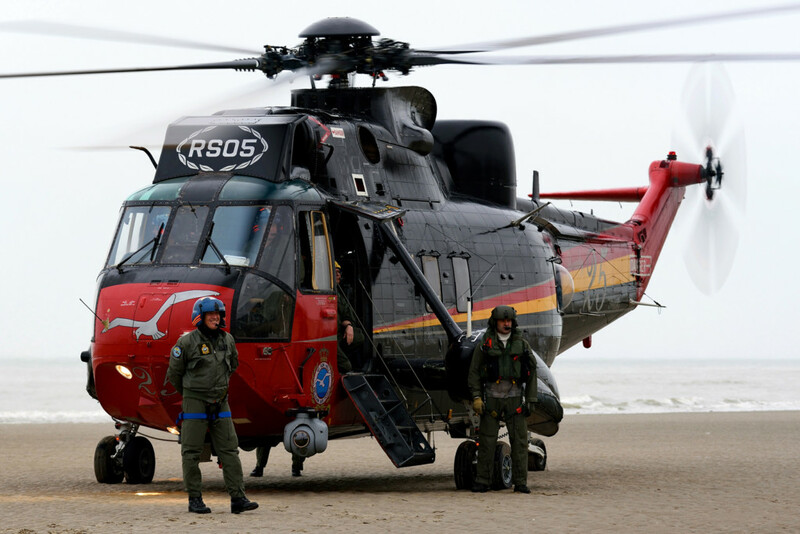 During its final farewell flight, RS-05 conducted 10 beach landings at the major coastal towns along the Belgian coast. 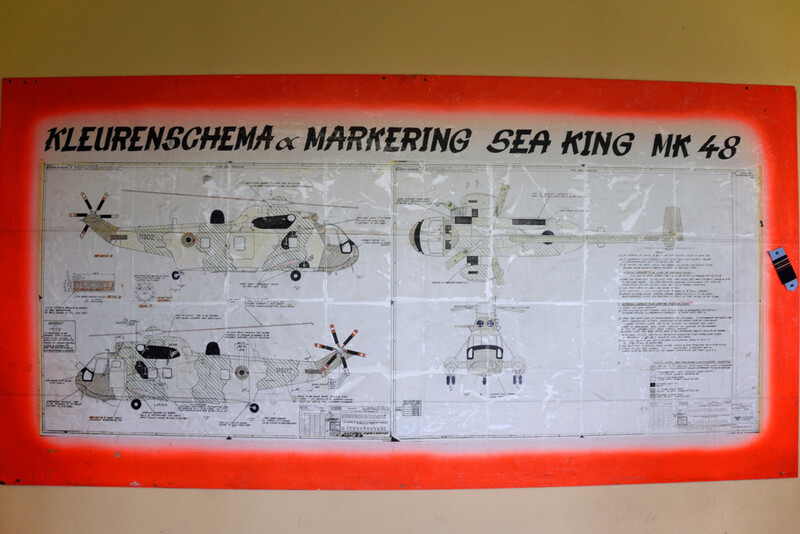 During each beach landing, the aircraft delivered a flag to each town showing the details of its 43 years of service. 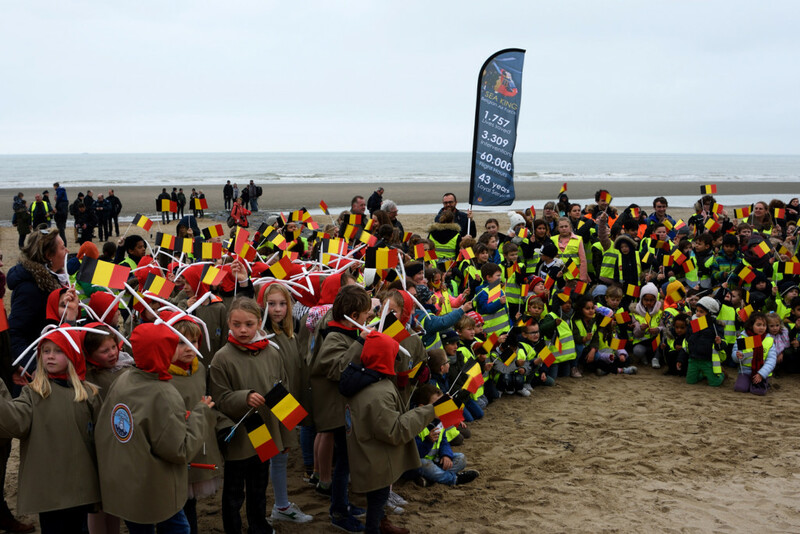 Despite the gloomy weather, hundreds of people lined the beach at each stop to wave farewell to an aircraft and the personnel who have served them so well. 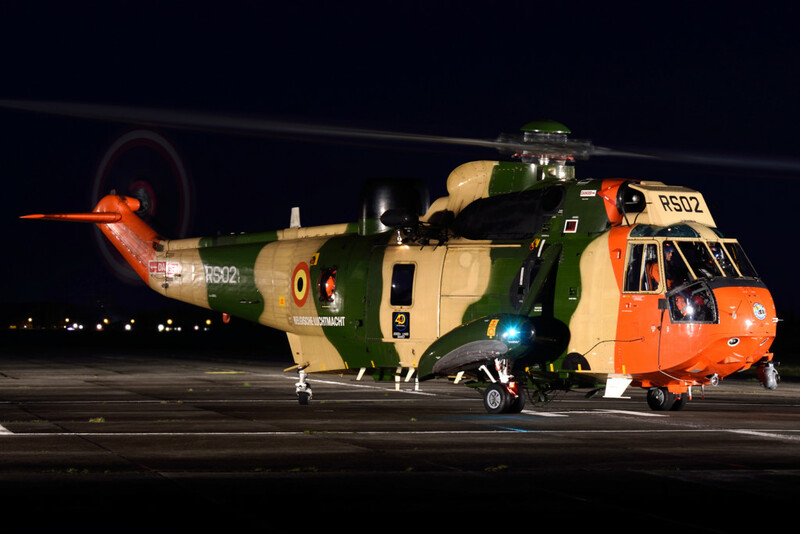 The aircraft was later flown to Oostende, where it was gifted to VLOC (flemish luchtvaartopleidingscentrum) to be used for educational purposes. 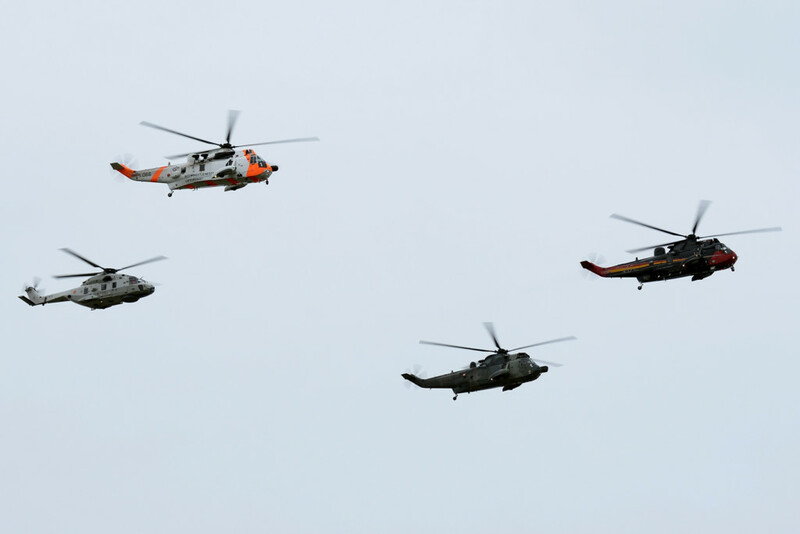 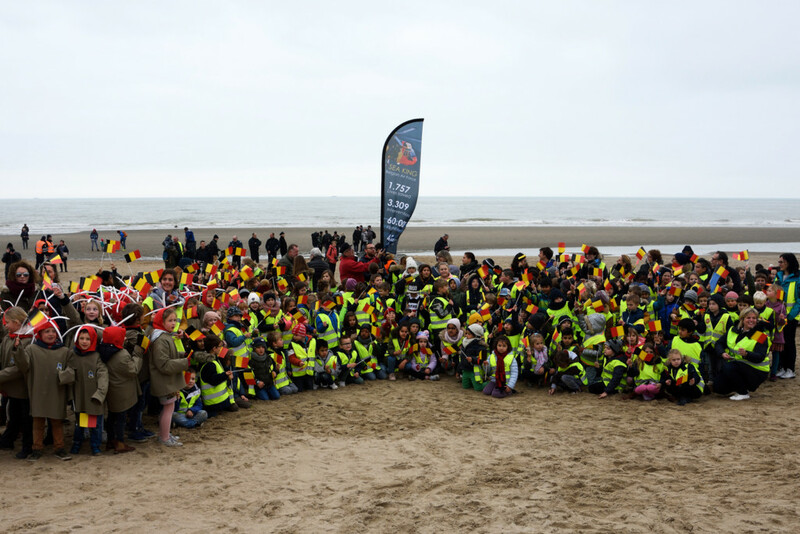 Throughout the drawdown of the Sea King it was abundantly clear that the people of Belgium are extremely proud of the service the Sea King has provided. 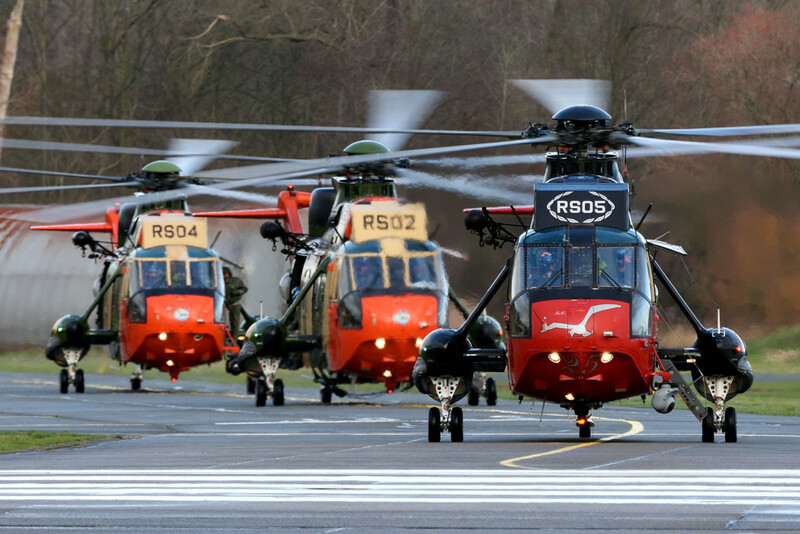 During numerous farewell events, thousands of people came out to say goodbye to the aircraft and to thank 40 Squadron for the 1,757 lives they have saved. 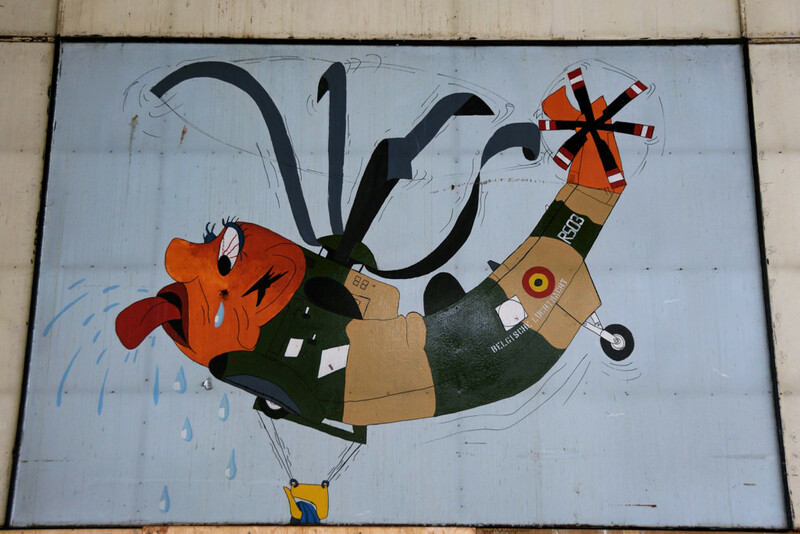 Not only are the Belgian public proud, but it’s also clear that the Sea King had a significant effect on 40 Squadron, with various murals and memorabilia dotted all around the Squadron from its expansive 43 year reign. 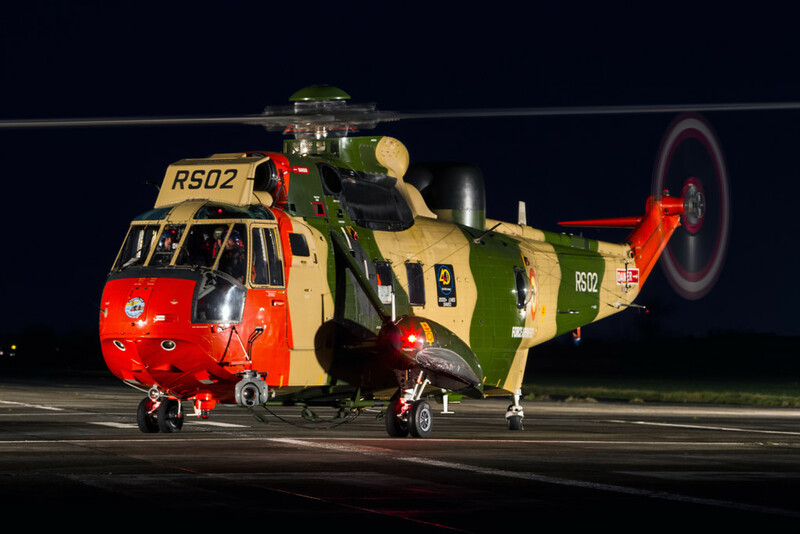 During its service career, Belgium’s Sea Kings clocked up over 60,000 flight hours and conducted 3,309 interventions – something all members of 40 Squadron are enormously proud of.